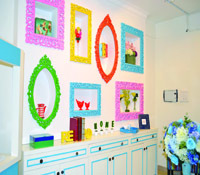 LITTLE Bit Of Fabulous, a new home decor store on the busy 100 Feet Road, is true to its name. Set over two floors, the space is awash with every imaginable hue. 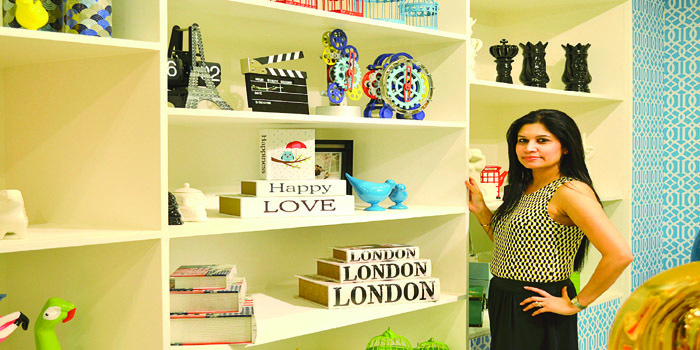 Tara Khan, the founder and creative director with a background in photography, home styling and event management, is eager to show us around. 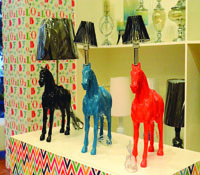 a�?LBOF is designed to infuse oomph and colour into the home decor market. We offer unusual gifts in whimsical prints, marrying timeless designs with fresh twists,a�? Khan explains. 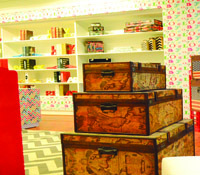 Pocket friendly yet boasting high quality, the store stocks couches, funky coffee and side tables, snazzy chests, and bar stools. a�?While we were doing our research, we realised that there is a demographic that responds to colour. But the idea is to not go overboard,a�? Khan shares, pointing to two wing chairs with psychedelic prints, well balanced by a suede Chesterfield couch with sombre grey upholstery. Most of the pieces make for great conversation starters; like a large turquoise Buddha face, that serves as a coffee table, crafted out of wood and lacquer glass. Or the slick Aviator coffee table with leather trimmings and stainless steel legs.